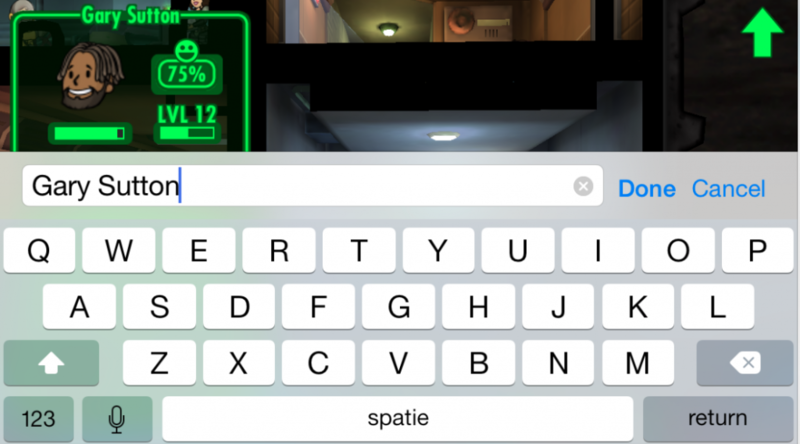 If there is one game that is consuming a lot of my time, it’s Fallout Shelter. This “simple” free mobile game for iOS and Android is highly addictive and offers enough of content to let you come back to your Vault, several times a way. If you also play Fallout Shelter or you want to begin playing, then feel free to read these Fallout Shelter tips. The most important things to maintain and collect are Power, Food and Water. With Power you power your rooms and with the Water and Food you feed your people. There isn’t one more important than the other because lacking in on of them will result in “disaster” inside your Vault. If the rooms don’t have enough power, they will not function. If you fall short in food and/or water your dwellers will have a hard time. They will grow unhappy and less productive as time passes by. When you start building your Vault, make use of the different levels. Try to build several rooms of one kind next to each other. Do this starting from the beginning. At first to to max it at two, while later in the game you can increase it with a third one. If you wonder why the rooms of one kind don’t merge, this could be because the are not on the same level. Only rooms of the same level merge and create a higher production value whenever your dwellers are done in the rooms. Assiging your dwellers to the right room is also very important. This will unlock their full potential and make them as efficient as possible. The skills of a dweller are aranged under the word SPECIAL. S – Strength: good for working in electricy factories and creating Power. P – Perception: good for working inside the water factory. This will create Water. E – Endurance: an all-round skill. Especially handy for searching the Wasteland. The rooms that falls underneath Endurance is the Storageroom. Nothing is produced there so don’t expect a raise in skills. C – Charisma: especially good for making babies and contacting Dwellers on the radio. I – Intelligence: good for working in laboratories for creating medicine like StimPaks and RadAway. A – Agility: dwellers with skills are good for working in restaurants and for exploring the Wasteland. Restaurants produce Food. L – Luck: a skills that makes extra things happening like if a dweller has a high Luck skills and working in a waterplant, it will slightly produce more than normal. The higher the number of one of these skills, the better that dwelling is for a particular task. Always try to assign the right dweller to the right room! This will make them more happy and more productive. Now that you’ve learned the basics (or being refreshed by it) let’s go some deeper. Always let one or more dwellers explore the wasteland, they will find you recourses like weapons, armor/outfits and caps. Send them away with some medicines and they can sure last some time outside the Vault. Keep a good eye on them. Call them back intime if they are very hurt. Plusside is that they won’t/can’t be hurt after you have recalled them and they are returning to your base. Place well armed/high level Dweller in a room next to the entrance. They will stop raiders uf they appear. Don’t place them at the entrance because that way they are just wasting time/space while they can easily help with producing something. Make babies, but not too much at once. Maintaing a pregnat dweller and eventually her child will ask more of your water and food resources. First start of with one, if you see that your supplies are steady expand the family with more. Don’t arm pregnant dwellers, because they will run away if a disaster happens. Making babies is actually very easy, just place a male and female dweller in a living quater and they will eventually kick it off. The game won’t let’s you make insest babies (thank God) so you can’t make babies with a relative. You will see a text like: “I like hanging out with family” if they are relative. If this happens, just switch one of them with another (non relative) Dweller and they will kick it off. When you first get guns, equip them, but as you progress with your game, sell the weapons that do only 1-3 damage. This because a fist has the chance to do more damage. Save those slots for weapons that do 3+ damage. But this doesn’t mean you need to sell right away, only sell them when you have advanced in the game and you actually have several weapons that do 3+ damage. Training rooms, I’m not quite sure about these rooms. 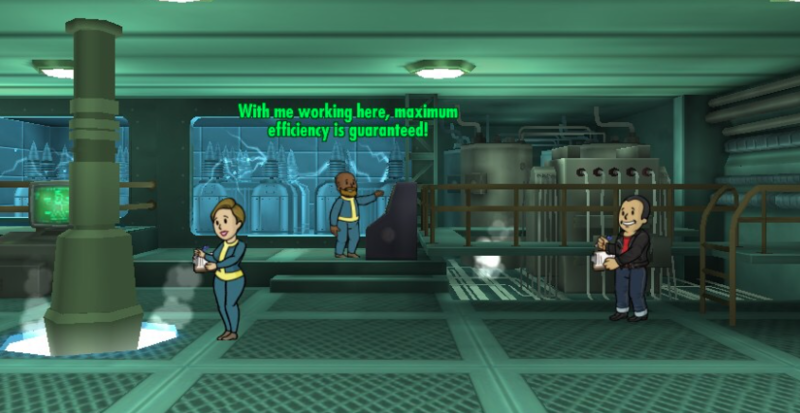 It’s true they slightly quicker level up your dweller than when they working in a room. But they don’t produce anything when they are in a room. And my motto is: Experience is gold! So try to not focus too much on those rooms. 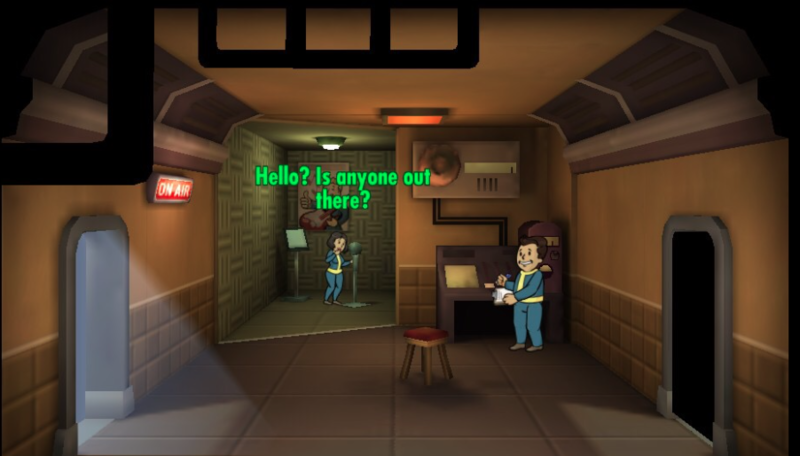 If you want to gain more dwellers, focus more on making babies then on a radioroom, since they can attract dwellers, but 9/10 times they don’t attract any dwellers. Use the skill of Charisma for making babies, instead of reaching out in the dark with a radioroom. Dress up your characters as much as you can, these way their skills are hightend and dwellers execure their task more efficitient. You can actually name your dwellers! This way you can recreate your entire family. How? 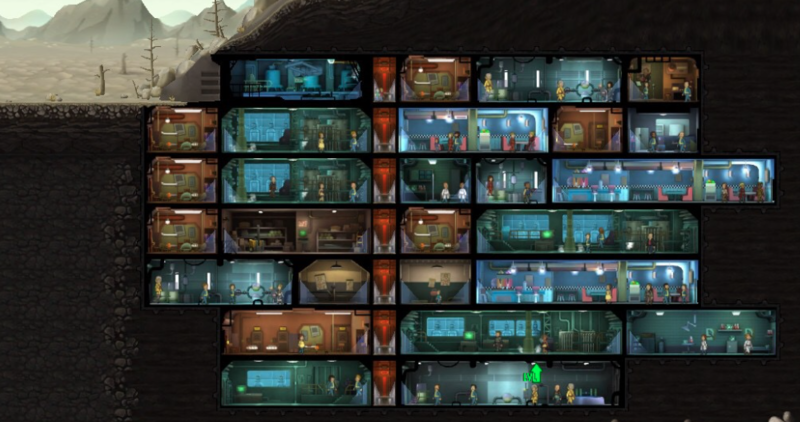 Very easy, just press on a dwellers name if you have selected them and a text input screen will pop up. Try to finish the daily challenges and especially the ones where you get a lunchbox, these will contain lots of extra’s. Like caps, a special dweller or recourses. Try to never skip a challenge for a lunchbox! This are the Fallout Shelter tips I have for you so far. Do you have more tips, feel free to share them. Fallout Shelter tips and you? P.S. If you want Rocket League Tips, I also got them for you.